If the north India is amalgamation of various cultures and societies as influenced by various outside invasions in the past, south is comparatively seems more as a cultural unit. Largely uninfluenced by northern development of Islamic enculturation, Southern India more is a Dravidian society. Consisting of states of Andhra Pradesh, Karnataka, Telangana, Tamil Nadu and Kerala as well as the union territories of Lakshadweep and Puducherry it occupies 19.31% of India's total area. Even the languages of South India, linguistically, have different origination than from the Dravidian roots. The prominent south Indian languages include Telugu, Tamil, Kannada, Malayalam and Tulu. South India has been ruled by Dynasties as Satavahana dynasty, Pandyan dynasty, Chalukya dynasty, Rashtrakuta dynasty, Chola dynasty, Western Chalukya Empire, Vijayanagara Empire and Mysore kingdom. All these kingdoms have left an impressionistic influence over overall culture and architecture of south India. In modern India, the states of South India have registered higher growth than national average during the last three decades. Cities like Bangalore, Hyderabad, Chennai are face of modern India in information technology and modernization. 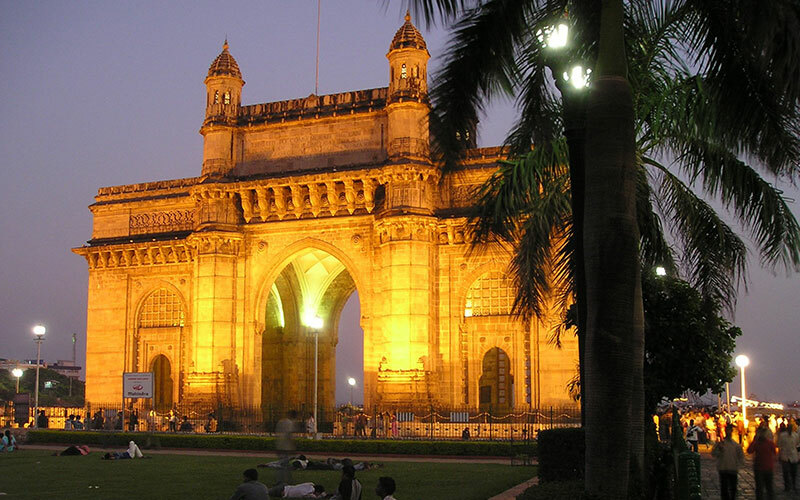 Arrive tonight in Mumbai (formerly Bombay), India's most cosmopolitan city. You are greeted with a traditional Indian welcome by Company representative and escorted to your pre booked hotel. Visit Elephanta Island through Gateway of India (Gateway of India was conceived as a triumphal arch to commemorate the visit of George V and Queen Mary for the Delhi Darbar in 1911). Also visit Hanging Gardens, Malabar Hill, Princes of Wales Museum, Dhobi Ghat (Open air Indian Laundry) and take a drive through beautiful Marine Drive. 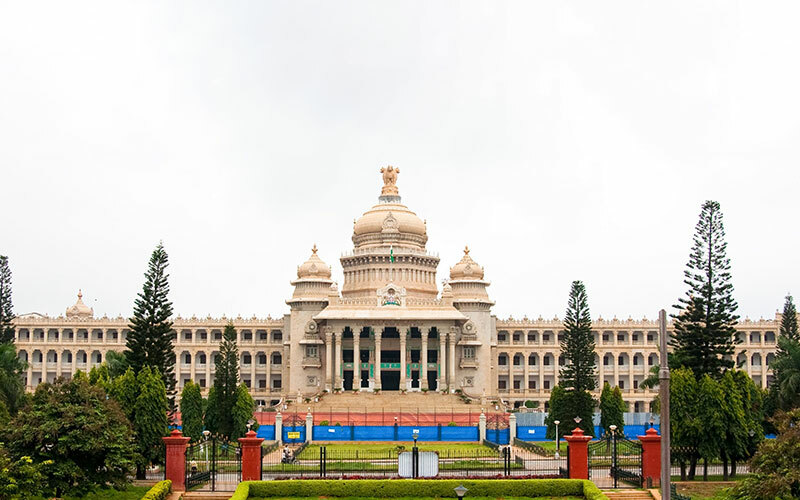 This morning fly to the “Garden city of India” Bangalore, one of the most beautiful and well-planned cities in India. Upon arrival assisted transfer to the hotel, later guided city tour. Visit to Lal Bagh Botanical Gardens – here you can find varieties of species of flora. The Tipu's Palace, the Mysore Arts and Crafts Center, the bull species of flora. The Tipu's Palace, the Mysore Arts and Crafts Center, the bull temple and the colourful and bustling markets are the other attractions of the city. Drive to a calm, serene town full of scenic surprises. Hills, valleys, streams and snow-white coffee blossoms are all here to woo. In and around Chikmagalur there are beautiful hill stations and places of picturesque beauty. En route visiting Shravanbelagola one of the most important Jain pilgrim centres of India. The 58 feet naked statue of Jain saint Gommateshwara (981 AD) carved out of a mountain believed to be one of the tallest and most graceful statues in the world. Upon arrival assisted check in hotel. Today we will be going to Mysore, en route visiting Belur & Halebid. Belur, situated on the banks of the Yagachi River, is home to the Chennakesava Temple, which basks in the glory of one of the greatest monuments of medieval art in India. An outstanding example of Indian temple architecture is found in Halebid. Hoysaleshwara Temple's entire surface is covered with a succession of friezes running its entire length, featuring elephants, lions, horsemen, and an incredible display of celestial beasts and birds. 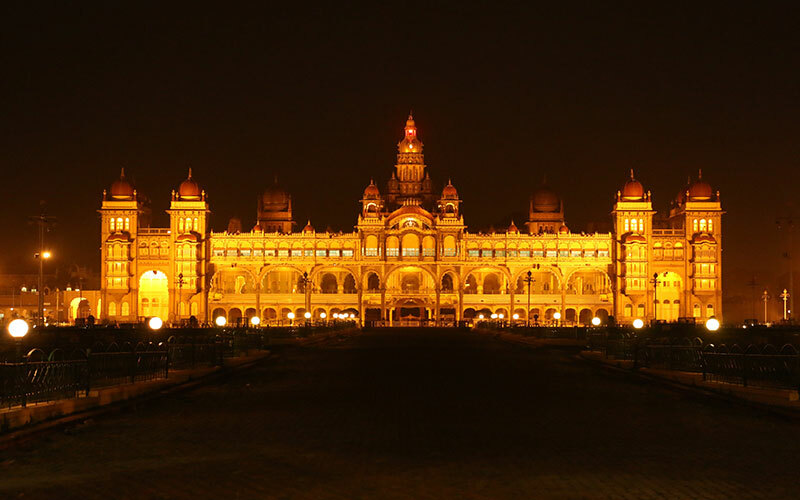 Tonight, in Mysore, view the illuminated City Palace. Sightseeing of Mysore includes City Palace, Chamundi Hill (where Nandi, a huge monolithic image of Shiva's Bull, is always garlanded with flowers and held in high esteem by Hindus), and the colorful and aromatic spice markets. Your afternoon is at leisure. This evening drive 10 miles from Mysore to enjoy the beautiful and exquisitely illuminated Brindavan Gardens, which sprawl amid gorgeous cascading fountains. Drive to Bangalore, stopping en route at Srirangapatnam, where the legendary warrior Tipu Sultan built his island fortress and Summer Palace. Upon arrival in Bangalore, connect with your flight to Cochin the capital of “God's own country – Kerala”, known for its well-balanced ecosystem. This morning visit the Portuguese-built St. Francis Church, the Jewish Synagogue, the famed Mattancherry Palace, and see the use of Chinese fishing nets-ingenious devices requiring little human attention. 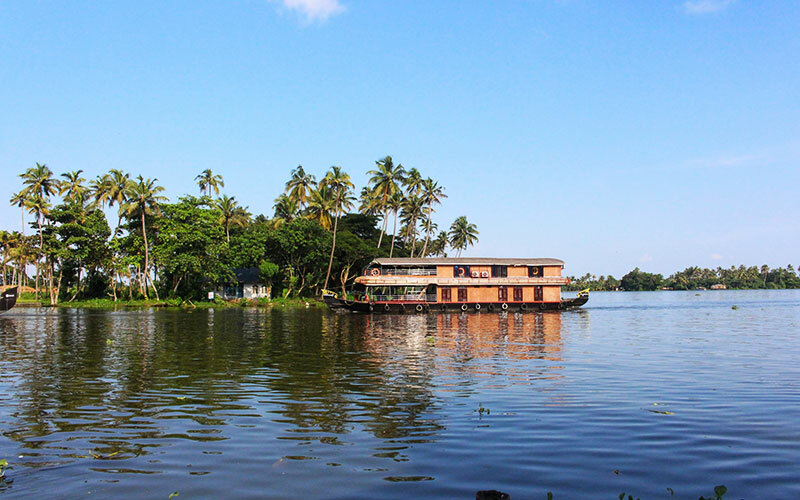 Depart this afternoon for Kumarakom, experiencing the rich culture and active lifestyle that has evolved over the centuries in and around the backwaters and waterways that thread this region. This morning, enjoy a boat ride through the series of canals and lagoons that snake their way through several tiny villages and tropical vegetation. Not only do the backwaters of Kerala link the state together, they are an integral element in maintaining ecological balance and creating harmony with nature. Your afternoon is at leisure. You may want to experience an Ayurvedic therapeutic massage, indigenous to this region, which is both relaxing and healing, or perhaps take advantage of the rich waters with a bit of fishing. Your exploration of South India continues as you travel to Thekkady, located on the Tamil Nadu / Kerala border. This unique wildlife sanctuary is about 300 square miles and centered on an artificial lake fed by the Periyar River. Afternoon is at leisure. This morning you will enjoy game viewing from boats that carry you along convoluted waterways and afford you sightings of elephants, bison, deer and occasionally tigers. This tropical habitat makes it one of the premiere reserves of southern India and home to all manner of flora and fauna. Later in the afternoon, we drive to Madurai, a bustling city packed with pilgrims, businessmen, bullock carts and legions of rickshaw pullers. In the evening, visit Meenakshi Temple to witness the evening prayer ceremony. This morning, return to Meenakshi Temple, a riotously baroque example of Dravidian architecture. Also visit Thirumalai Nayak Palace and the Gandhi Museum. Continue to Mariamman Teppakkulam Tank, site of the Teppam or float festival in January each year. Later fly to Chennai (formerly known as Madras), the fourth largest city in India. Today, enjoy an excursion to Kanchipuram, one of the seven sacred cities of India, which served as a Capital for several dynasties. Visit three of the best temples—Kailasanatha and Ekambareshwara (dedicated to Lord Shiva) and Vaikuntaperumal (dedicated to Lord Vishnu). Continue your excursion to the ancient 7th century rock hewn monuments. 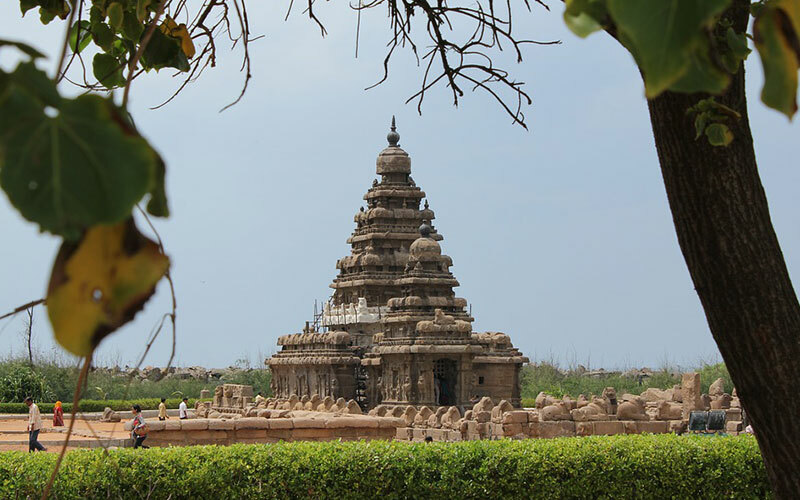 The shore temple, the last surviving of seven temples, is a unique example of a temple built of rock quarried elsewhere and carried to shore. Your tour of Chennai takes you to Victoria Art Gallery, the Bronze Gallery and Chennai Museum. Visits to Fort St. George, San Thome Cathedral and Kapaleswarar Temple unforgettable India and board your international flight for home.